Here I have painted 8 separate canvases. 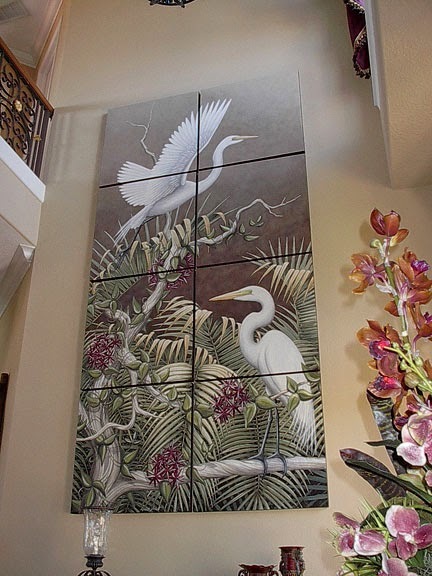 Each canvas is 32 inches square. 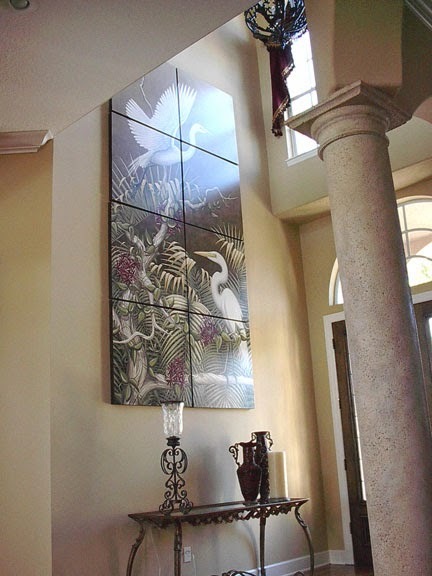 They are installed approximately 2 inches apart in the foyer of this home. You can see how far off the floor it was installed. It starts about 5 feet off the floor and the top is about 16 feet up.